In the field of osteosynthesis, the high-performance polymer PEEK (Polyetheretherketon) is a popular material with versatile properties and applications. Often, injuries or serious illnesses make it necessary to use implants to recover from traumas or malformations. In the following we consider materials for in vivo implants, their properties and their scopes. In addition to PEEK, titanium and stainless steel are used as materials for implant production and osteosynthesis applications. Compared to stainless steel, titanium has better corrosion resistance, but its mechanical properties are not optimal. Stainless steel is cost-efficient, but has an increased ignition potential. X-rays scatter the radiation near the metallic materials, which makes it considerably more difficult to dose and focus the radiation in the case of tumour therapy. In everyday life the unintentionally good thermal conductivity of metals can cause the implants to heat up or cool down considerably. In the case of a cranial application negative consequences can occur. PEEK offers optimum properties for osteosynthesis in many aspects. A PEEK implant is very similar to the human bone in mechanical stiffness and elasticity and can therefore follow the internal movements of the bone. Since this material is radiolucent, it is suitable for radiological diagnostics and therapeutic radiation technology. Thanks to its insulating properties, the material is also less susceptible to temperature effects. In the case of a fracture the prerequisites for rapid and stress-free regeneration is a stable and close contact of the bone fragments. If the fracture gap is larger than 0.5mm, conservative treatment is generally no option. In such a situation, osteosynthesis and implants are used to fix the bone fragments. 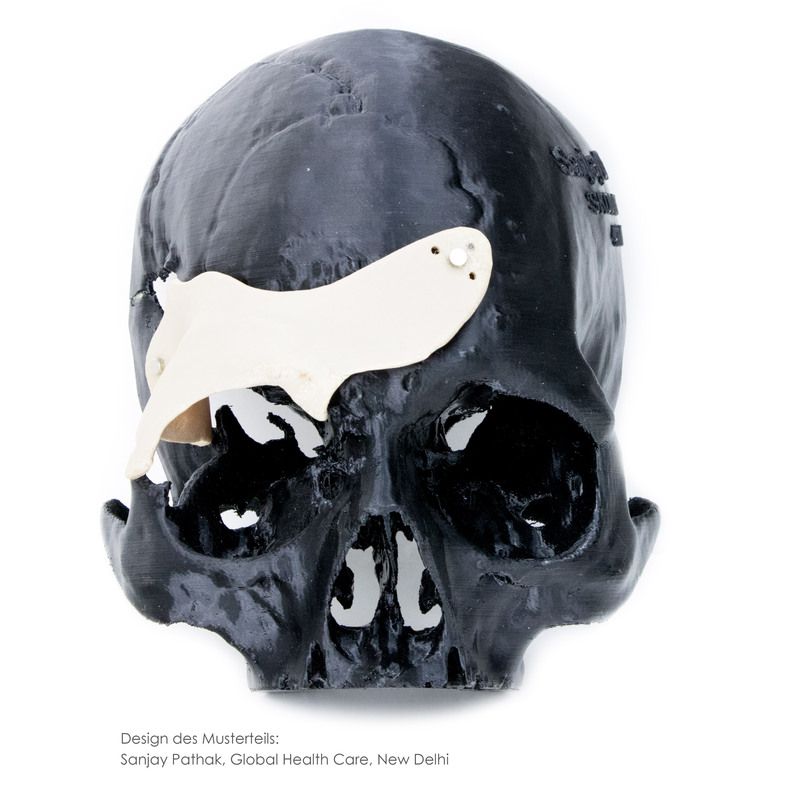 Implants can be optimally customised to the patient’s anatomy with the aid of Material Extrusion (FFF) 3D printing technology. The dead space between bone and implant can be almost eliminated and a stable and close contact can be established. In addition to improved bone growth, operations are simplified, the risk of infection is reduced and aesthetics are guaranteed by complementary implants. Stress, cost and time savings for patient, surgeon and hospital are the results. In addition, PEEK has the property of osseointegration. Osseointegration is the term used when a direct contact between implant and bone can be found through the formation of new bone tissue. Already few weeks after surgery it can be observed that the bone cells grow directly to the PEEK implant, embrace and integrate it. This type of bone growth can lead to permanent bone anchorage. As a result, healing of the bone is moderately accelerated and the risk of complications is reduced in long-term use. PEEK implants can be manufactured cost-effectively with the aid of Additive Manufacturing. This results from short lead times and extensive design freedom, which makes it possible to manufacture the implant without major material loss or previous tool making. The Apium M220-Series combines the advantages of Additive Manufacturing and the properties of the high-performance polymer PEEK. 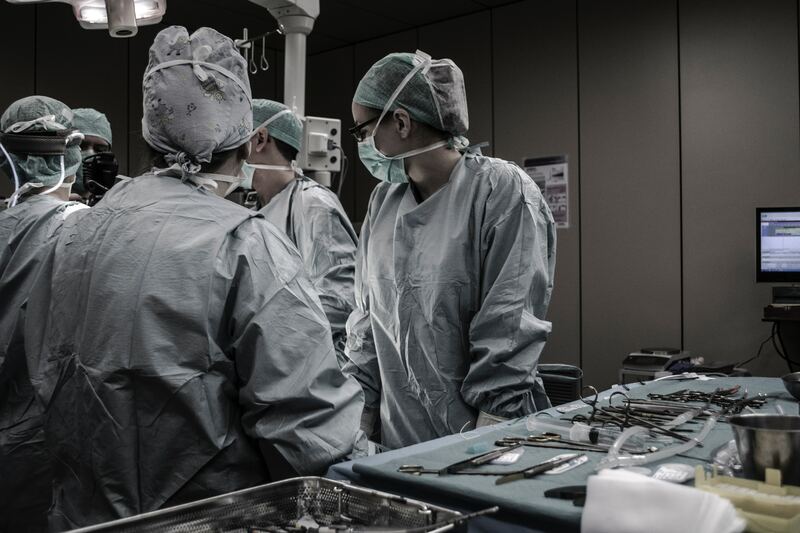 The use of this technology can save lives in time-critical surgeries. 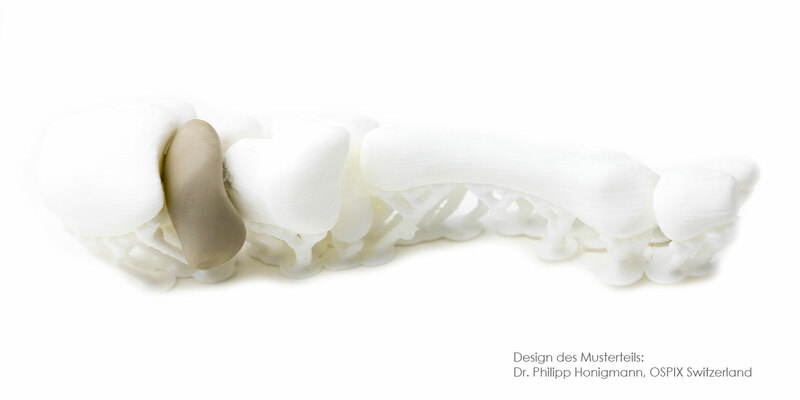 Process medical grade PEEK for osteosynthesis applications, with the advantages additive manufacturing offers. High quality materials lead to best performing parts. 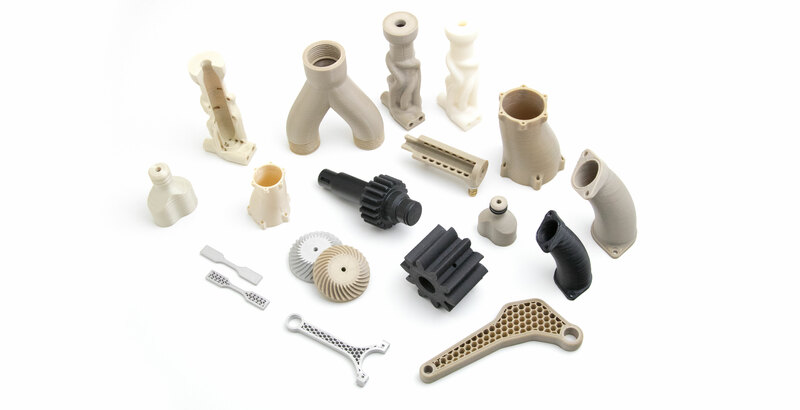 Enhance your capabilities in Additive Manufacturing with expert trainings. 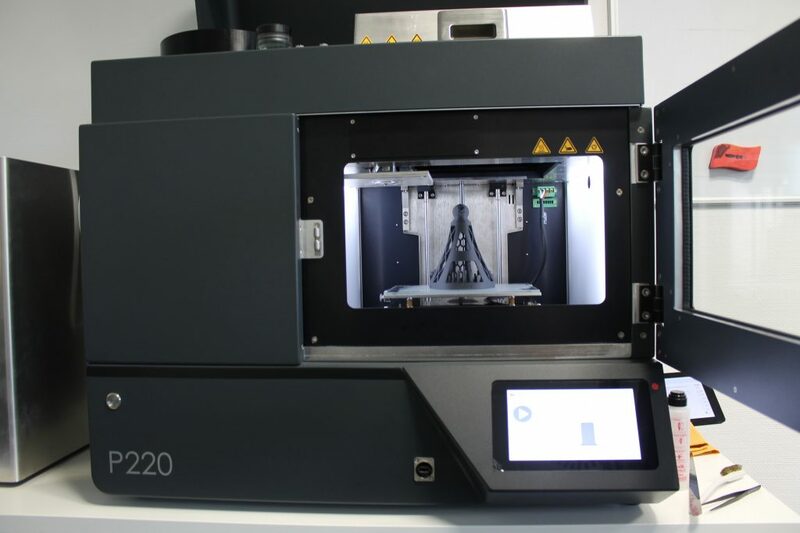 Learn more about the extensive opportunities the Apium M220 Series offers and strengthen your medical supply chain with the benefits of Additive Manufacturing.